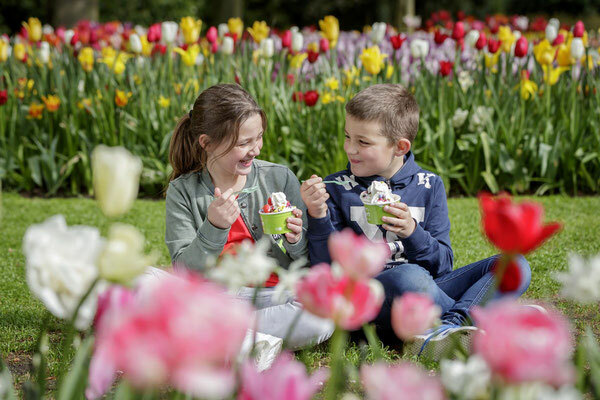 On March 22nd, 2018, Keukenhof park reopened to the public, which, after the extraordinary success of last year, can celebrate its sixty-seven edition! No wonder that in 2017 more than a million visitors from all over the world came to Holland to admire one of the most amazing floral shows on the planet, confirming once again how much the park is important for local and Dutch tourism. 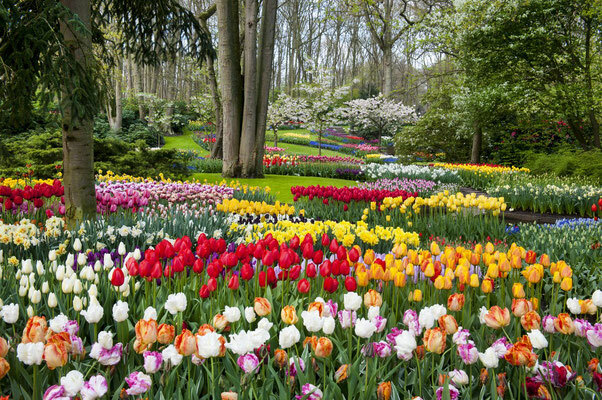 In the 32 hectares of land, over 7 million bulbous flowers flourish, including about 800 varieties of tulips, daffodils, hyacinths and many more. In addition to the show designed by the colors of flowers, Keukenhof you can also see 2700 trees perfect to enrich and inspire the charming atmosphere and the place unique. Not only! Keukenhof also has about twenty floral exhibitions, various events and inspirational gardens from which to copy new and innovative ideas. Inside the park you can find various types of garden: from the English to the Japanese style, passing through the Historic Garden and coming to a labyrinth, playground and small zoo, created for the fun of children. No wonder if Keukenhof also won in 2017 the award for the most beautiful spring park in the world. It also hosted more than a million visitors worldwide for the second consecutive year in just 8 weeks. 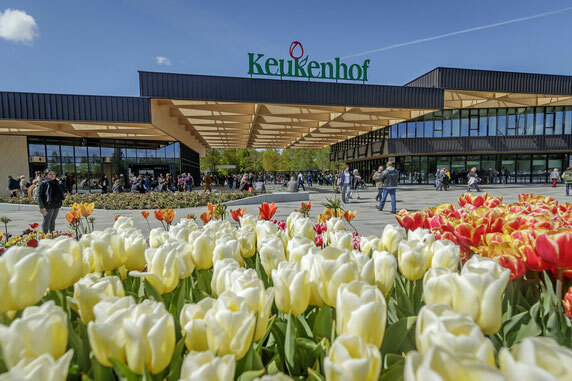 Keukenhof was born from an initiative of some growers / exhibitors who responded to the invitation of the then mayor of Lisse to create a showcase for professionals in the florist industry. In 1949 they chose an ideal location: the garden of the castle of Keukenhof, once part of the estate of Teylingen. After the death of Countess Jacoba van Beieren, the land became the property of wealthy merchants, including Baroness and Baroness Van Pallandt. They asked Zocher Landscapers, who had already made plans for Vondelpark and the gardens of Paleis Soestdijk, to develop a plan for the garden that brought the castle back. Their English garden dated 1875 is still today the basis on which the current park is built. The Keukenhof is rich in historical features and among many, has to tell innumerable anecdotes about tulips. In the seventeenth century, the richest invested heavily in tulip bulbs. With the statement of the middle class, a real fever was born for this flower, thanks to which traders earned sums of around 30000 € per month! Some sold their businesses and even family treasures to continue competing on the market, which collapsed sharply in 1637. The Keukenhof mill is more than a century old. It was built in 1892 and used for polder reclamation. In 1957, it was bought by Holland Amerika Lijn, which later donated it to the park. The theme of Keukenhof 2018 will be in the sign of Romance in Flowers. Romanticism and flowers are united by an inseparable bond. 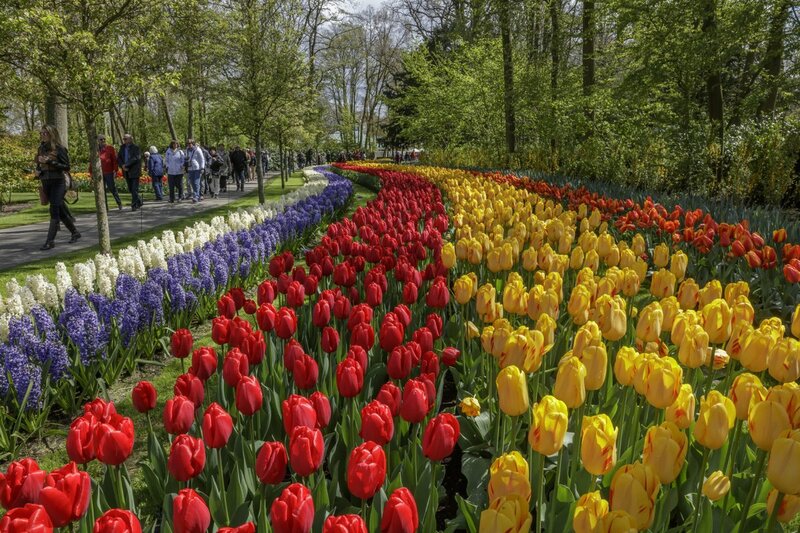 The Keukenhof Park will welcome visitors in a romantic spring atmosphere. The historic park was designed in full Romanticism (1857) as ornamental garden of the Keukenhof Castle. In the garden around the pond, between glorious tops and secular beech trees bloom from 1950 million tulips. Several generations have experienced great moments of joy. The ideal places to make a statement of love will be the romantic tulip garden or the Garden of Holiday Love. 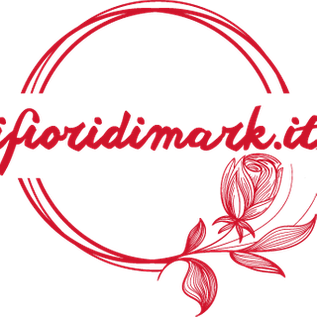 The theme of floral shows will also be the sign of Romanticism. The show of roses will be the biggest of the last few years, with the red rose symbol of true love. During the Keukenhof 2018 you will be able to admire a wonderful mosaic of flowers made with 50,000 bulb flowers. 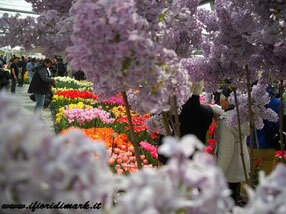 The season will end with Romanticism at the Keukenhof, the traditional music festival between tulips. March 30th-April 2nd: Ancient Dutch traditions: in this weekend you will be able to experience the old Dutch atmosphere. In the park, there will be craftsmen who will present their products, markets with traditional cheese and performances in contemporary costumes. 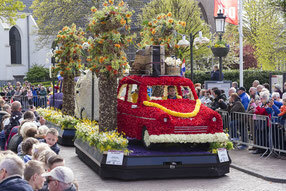 April 18th-22nd: the Flower parade: April 21, in particular the Bloemencorso, the famous flower parade, which starts from Noordwijk to Haarlem and arrives, from Keukenhof around 15.30. Between 18th and 22nd, as well known in the parade, it will parade other minor in the area. 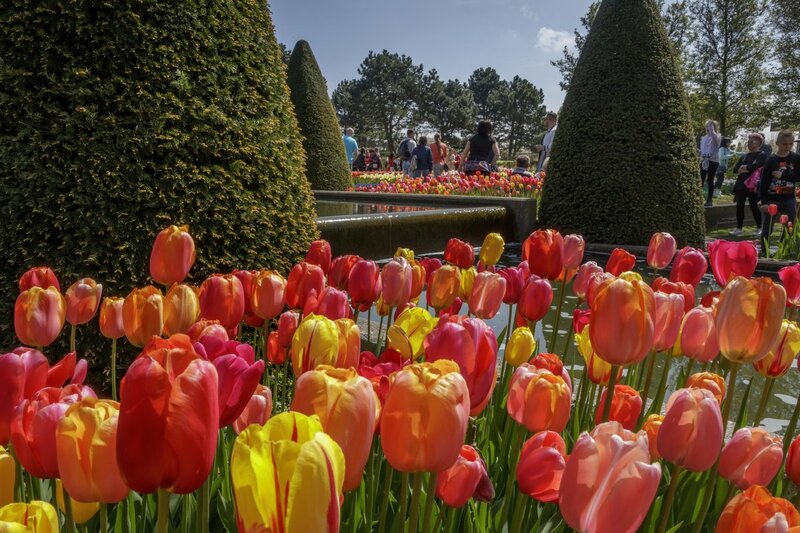 May 12nd-13rd: Keukenhof Romanticism: will be under the sign of Romanticism at the park's last weekend, with classical music, costume characters dating back to the age and the enchanted atmosphere created by the flowers. Tourists from all over the world still visit Holland today to admire its icons: tulips, mills, Rembrandt, and the East Indies Company are among the most characteristic elements that rebuild the country's history. About 75% of visitors come from abroad, especially from Germany, the United States, France, the United Kingdom and China. There is also a significant growth in the number of tourism arrivals from South America, Eastern Europe and Asia. 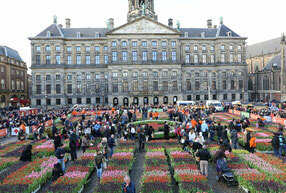 The floral sector in general and the Keukenhof in particular, are vital to the tourist image of the Netherlands. The park is a great attraction, increasing the number of attendance also in the hotels, retail, catering, transportation, culture and events sectors, making a large number of visits during the low season. The Keukenhof is a key attraction for floriculture, the Zuid-Holland region and the Netherlands, and makes a significant contribution to the country's image in the world. The Keukenhof will be open from March 22, 2018 to May 13, 2018.